a. Personally Identifiable Information: This refers to information that lets us know the specifics of who you are. When you engage in certain activities on this site, such as registering for our newsletter, ordering a product, submitting content and/or posting content in public areas of the website, commenting on the site, entering a contest, filling out a survey, or sending us feedback, we may ask you to provide certain information about yourself. It is completely optional for you to engage in these activities. If you elect to engage in these activities, however, we may ask that you provide us personal information, such as your first and last name, mailing address (including zip code), email address, telephone and other personal identifying information depending on the activity at issue. When ordering products on the site, you may also be asked to provide a credit card number in addition to the information mentioned above. Depending upon the activity, some of the information we ask you to provide is identified as mandatory and some as voluntary. If you do not provide the mandatory data with respect to a particular activity, you will not be able to engage in that activity. b. Nonpersonally Identifiable Information: This refers to information that does not by itself identify a specific individual. We gather certain information about you based upon where you visit on our site in several ways. This information is compiled and analyzed on both a personal and an aggregated basis. This information may include the Web site’s Uniform Resource Locator (“URL”) that you just came from, which URL you next go to, what browser you are using, and your Internet Protocol (“IP”) address. A URL is the global address of documents and other resources on the World Wide Web. An IP address is an identifier for a computer or device on a Transmission Control Protocol/Internet Protocol (“TCP/IP”) network, such as the World Wide Web. Networks like the Web use the TCP/IP protocol to route information based on the IP address of the destination. In other words, an IP address is a number that is automatically assigned to your computer whenever you are surfing the web, allowing web servers to locate and identify your computer. Computers require IP addresses in order for users to communicate on the Internet. We do not collect any Personally Identifiable Information about you unless you voluntarily provide it to us. You provide certain Personally Identifiable Information to us when you: (a) register for our services and register your email address with us; (b) enter contests sponsored by us or one of our partners; (c) sign up for special offers from selected third parties; (d) send email messages, comments, photographs, videos, and related content with your Personally Identifiable Information, (e) submit forms or transmit other information by telephone or letter; or (f) submit your credit card or other payment information when ordering and purchasing products on our site. We may also collect information from you at other points on our site that state that such information is being collected. We may be required by law enforcement or judicial authorities to provide Personally Identifiable Information to the appropriate governmental authorities. We will disclose Personally Identifiable Information upon receipt of a court order, subpoena, or to cooperate with a law enforcement investigation. We fully cooperate with law enforcement agencies in identifying those who use our services for illegal activities. We reserve the right to report to law enforcement agencies any activities that we in good faith believe to be unlawful. We may, from time to time, send you email regarding our products and services. In addition, if you indicated upon registration that you are interested in receiving offers or information from us and our partners, we may occasionally send you direct mail about products and services that we feel may be of interest to you. Only Courage Under Fire, LLC (or agents working on behalf of Courage Under Fire, LLC and under confidentiality agreements) will send you these direct mailings and only if you indicated that you do not object to these offers. If you do not want to receive such mailings, simply tell us when you give us your personal information. Or, at any time you can easily edit your account information to no longer receive such offers and mailings. At our site you can be assured that your Personally Identifiable Information is secure, consistent with current industry standards. The importance of security for all Personally Identifiable Information associated with our user is of utmost concern to us. Your Personally Identifiable Information is protected in several ways. Access by you to your Personally Identifiable Information is available through a password and unique customer ID selected by you. This password is encrypted. We recommend that you do not divulge your password to anyone. In addition, your Personally Identifiable Information resides on a secure server that only selected Courage Under Fire, LLC personnel and contractors have access to via password. We encrypt your Personally Identifiable Information and thereby prevent unauthorized parties from viewing such information when it is transmitted to us. Personal information that you provide that is not Personally Identifiable Information also resides on a secure server and is only accessible via password. Since this information is not accessible from outside Courage Under Fire, LLC you will not be asked to select a password in order to view or modify such information. 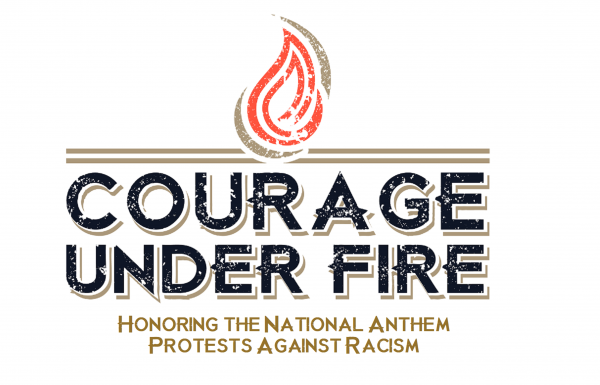 You may also contact us by email at general@courage-under-fire.com.